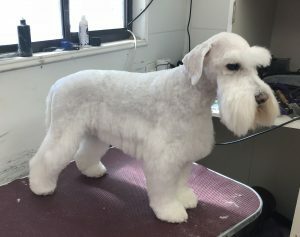 Last week I groomed a gorgeous White Schnauzer. This breed is new to Australia and comes from Spain. 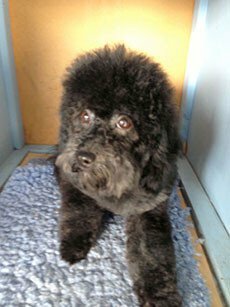 Angela, is your friendly and dependable dog and pet grooming specialist, and I have more than 35 years of experience in providing professional animal care services for all dog breeds. With my extensive background and knowledge in the business, you can be assured that your beloved pets are in good hands. I make it a point to ensure your pets feel safe and secure during the treatment inside my salon. Read my customers’ testimonials and Dog Grooming Reviews on WOMO. 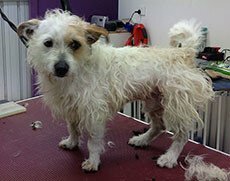 I aim to make your dog’s grooming session as stress free and comfortable as possible. I treat each dog as an individual, as not all dogs like being handled the same way. 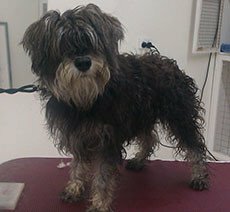 From trimming nails to a full spa, all dog grooming services are available. 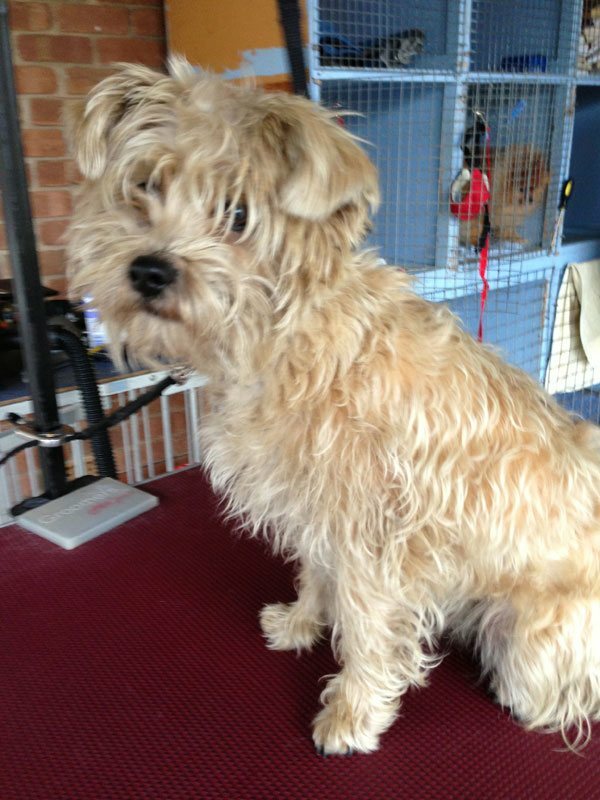 Shampoochie, is your trusted dog groomer in Flagstaff Hill, SA. 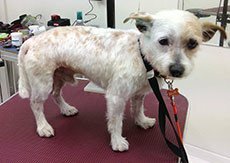 Since 1989, Angela has been providing exceptional and superior pet grooming services in the entire Adelaide area. For all your cat and dog grooming needs, you can depend on Angela. Angela ensures that only top quality shampoos and conditioners from brands she trusts are used during the grooming process. Your pet’s comfort, health and safety are her top priorities, and she treats your pet as her own. Aside from dog grooming services, she also offers clipping service for cats. Clipping and Grooming by appointment only. 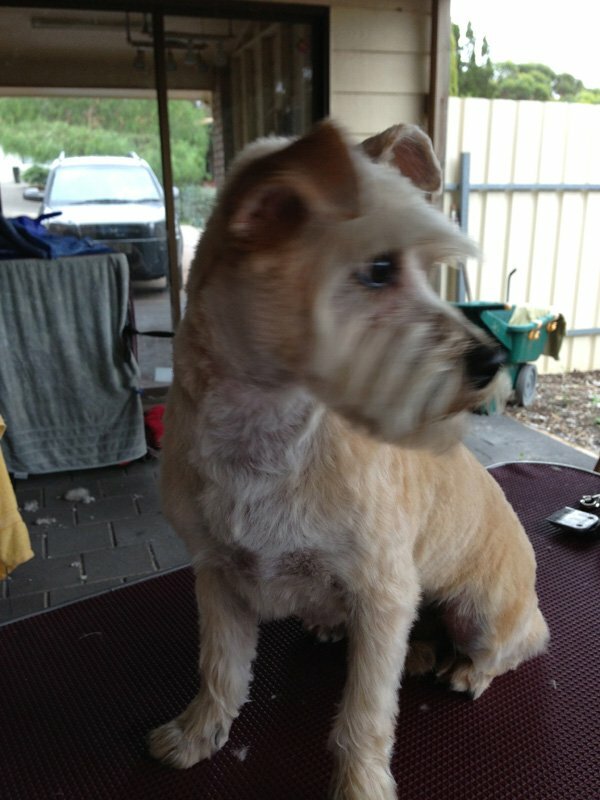 Dog grooming and clipping service in the Southern Suburbs of Adelaide. 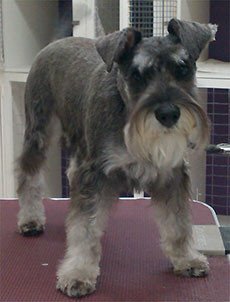 Quality Dog Grooming for the Southern Suburbs. I groom from home and have a studio set up, I am unable to groom your dog in your home. 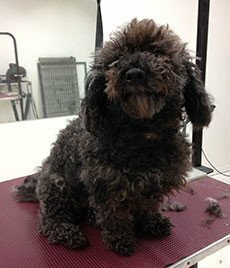 Shampoochie was formerly known as Angela’s Professional All Breeds Dog Grooming provides dog clipping and grooming in the Adelaide Southern Suburbs. My grooming skills won me a trip to the prestigious Crufts Dog Show in 2000, where I groomed a standard poodle for the showring. It was a very exciting time. The Flagstaff Hill Football Club, is sponsored by Shampoochie, and is where both my grandsons have played Australian Rules Football.